The province, in partnership with the federal government have invested over $2 million in literacy and language for children under the age of six. 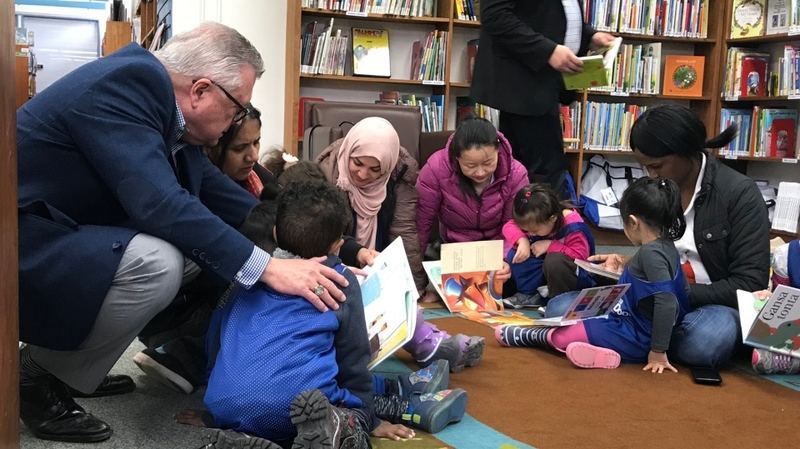 The investment comes as part of the Canada-Saskatchewan Early Learning and Child Care Agreement, and will include funding for multilingual children's books, family-friendly literacy programs and instructional videos. “It is really important for newcomers in Saskatchewan to make sure that they develop the language skills to fully incorporate themselves into local communities and be able to communicate effectively,” Public Safety Minister Ralph Goodale said. The goal of the program is to get more resources into the hands of children as early as possible, and provide free training for parents and educators. Especially in the case of children, and families, learning a new language. Goodale pointed out that the older children get, the harder it is for them to learn and retain and new language. Some funding has already been rolled out, and the rest will come in the near future.